I've seen a bunch of new stuff since my last display post and thought I should get it posted now before I see any more. This is already going to be a very long, picture-heavy entry as it is. 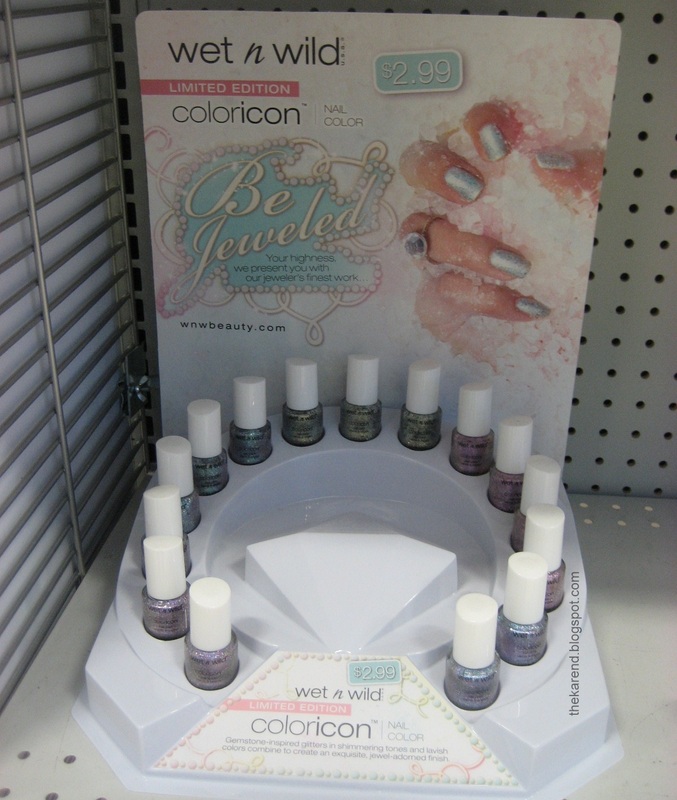 One of the things I was looking for last time was Wet 'n' Wild Be Jeweled, and Meijer came through for me. There are five multicolor glitters in this collection: Speak When Spoken To (mostly blue), Jewels For You Highness (red violet), Bow In My Presence (blue green), The Crown Is Mine (blue violet), Born Into Privilege (yellow green). They're priced at $2.99 per 9ml bottle. So far I've only seen these at Meijer, but I'm thinking they've got to start showing up at Walgreens and CVS soon. 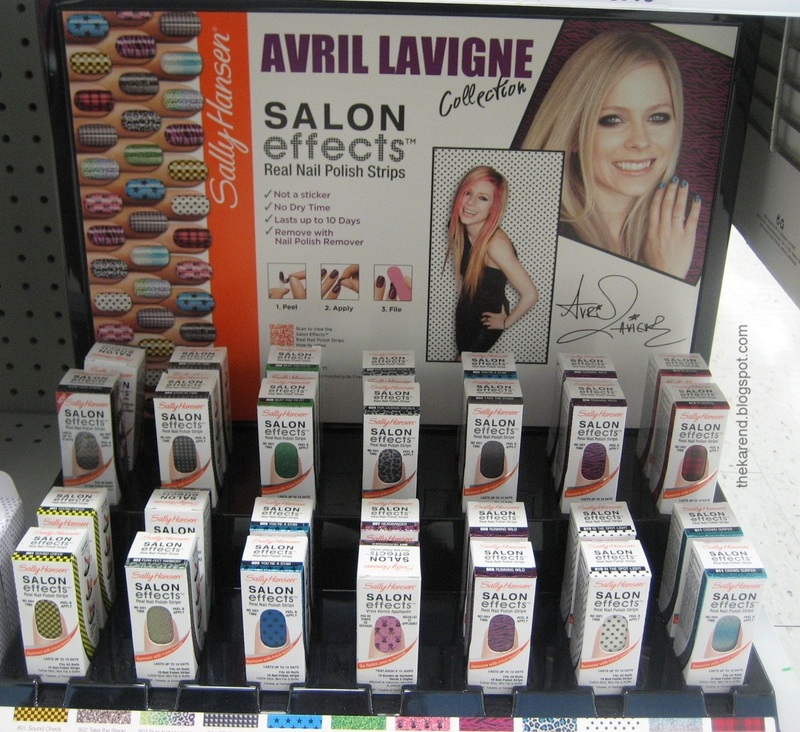 Meijer was also the first place around here to put out the Avril Lavigne collection of Sally Hansen Salon Effects. Twelve designs here: Sound Check (yellow/black checkerboard), Take the Stage (charcoal glitter), Purr-fect Harmony (rainbow gradation leopard), STUD-io Time (charcoal 3D looking squares), You're a Star (black stars on turquoise), Beat You to It (green glitter), Headbanger (black skulls and crossbones on pink glitter), Running Wild (fuchsia/black zebra), Fur-ocious Vocals (black/turquoise leopard), In the SPOT-light (black dots on white), Crowd Surfer (silver/turquoise glitter gradation), Plaidical (black/red plaid). 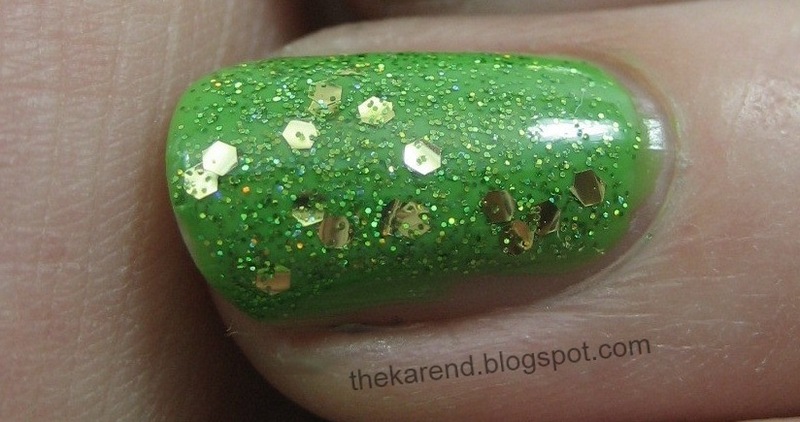 In other celebrity nail polish news, there are more K-Kolors from Nicole by OPI. And no, I am not going to type out the whole K name; that family gets entirely too much attention as it is, and I need to save my strength to get through typing out the polish names. They are: Up & Kim-ing Pink, Kim Konfidential, Others Pale by Kim-parison, Lights Kim-era Action, Nothing Kim-pares to Blue, and Here Kim's the Sun. 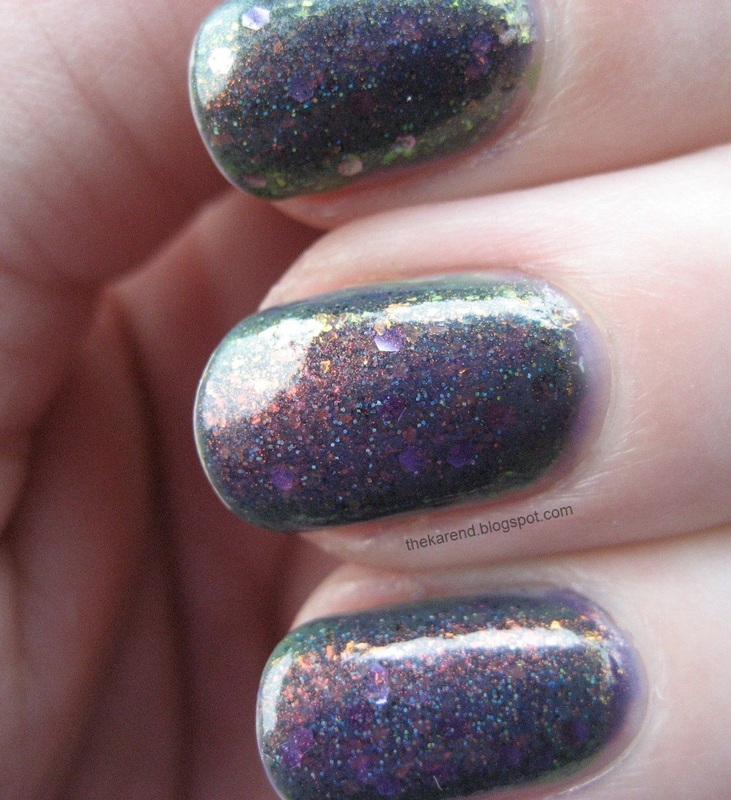 The sad part is I really like the looks of that blue, and the glitter seems nice too. 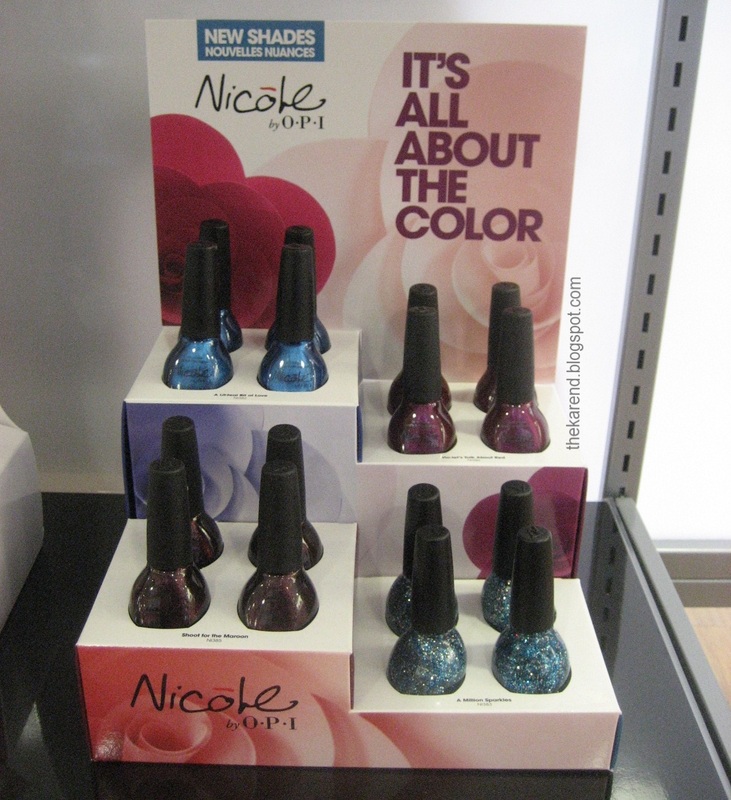 There are also four new non-K shades from Nicole by OPI: Shoot for the Maroon (dark wine shimmer), A Million Sparkles (blue/gold/red glitter), A Lit-teal Bit of Love (blue shimmer), and Vio-let's Talk About Red (berry shimmer). And bless them, Nicole by OPI hasn't given up on crack yet. I saw a display with four new Texture Coat colors: Opal Texture, Quartz Texture, Amethyst Texture, and Aquamarine Texture. 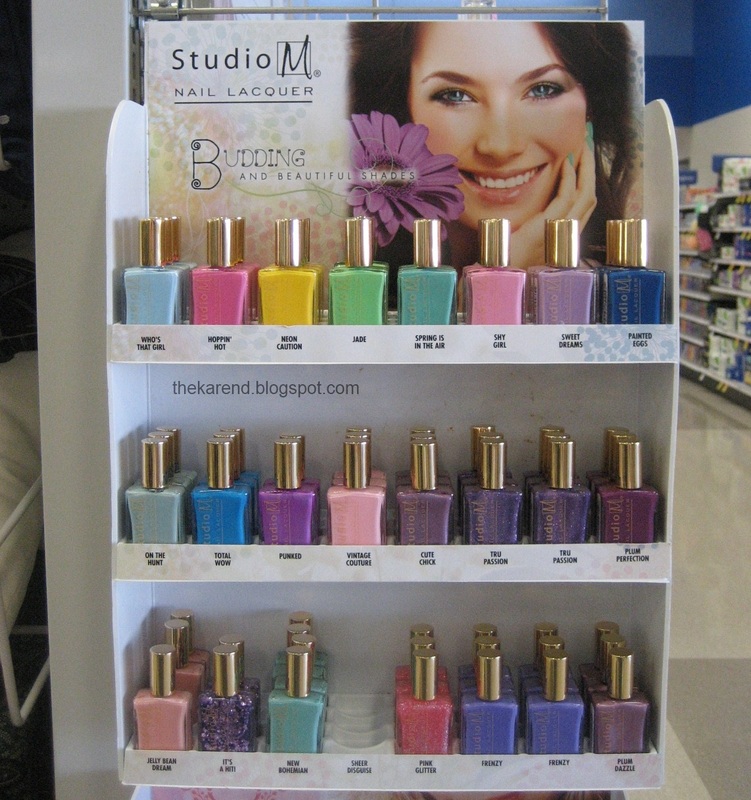 Even though I've been to at least half a dozen Meijer stores across the state of Michigan (I did stop a few on my drive to and from Wisconsin), I've yet to see a fully stocked spring Studio M display. This year it's called Budding and Beautiful. It's strikingly similar to last year's spring display; nineteen of the twenty two colors are carryovers. The three new ones are all Color Club re-bottles. 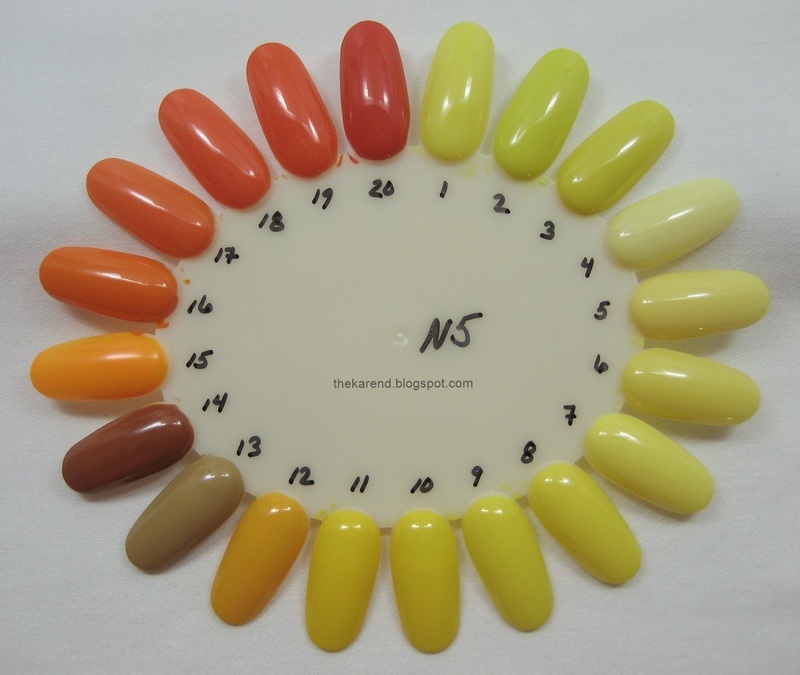 Left to right, top to bottom: Who's That Girl, Hoppin' Hot, Neon Caution, Jade, Spring Is In the Air, Shy Girl, Sweet Dreams, Painted Eggs, On the Hunt, Total Wow, Punked, Vintage Couture, Cute Chick, Tru Passion (two slots for this), Plum Perfection, Jelly Bean Dream, It's a Hit (new this year), New Bohemian (new), Sheer Disguise (new, and popular; I've never seen this one in person), Pink Glitter, Frenzy (two slots), and Plum Dazzle. Walgreens is the only place I've seen the Nabi Magnetic line (not all Walgreens are stocking them, though). 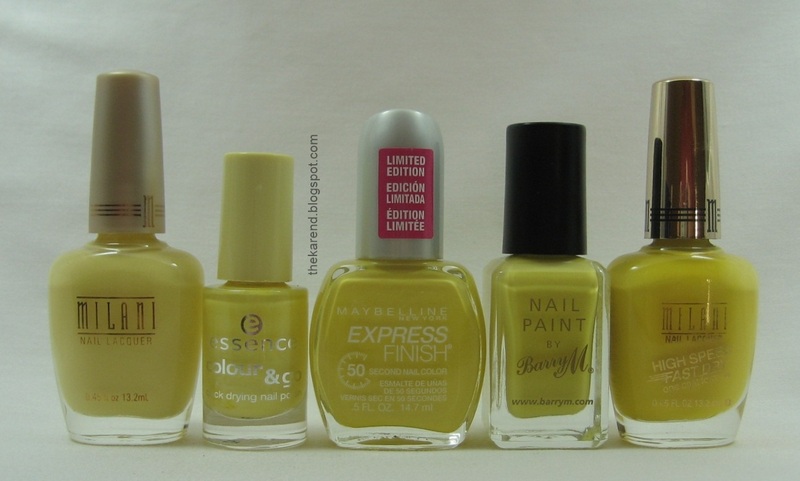 Because there is a sticker over the name label on the bottom of the bottles and there are lots of different shades, I am not able to share color names. I thought trying to peel off that many stickers might attract unwanted attention as the display was right up by the cosmetics register. There are three magnet designs for these but which one you get is determined by the color—you can't choose and each color seems to only come in one magnet design. Given that they're the cheapest magnetics I've seen (around $4 for 15ml when they're not on sale) I can deal with that. 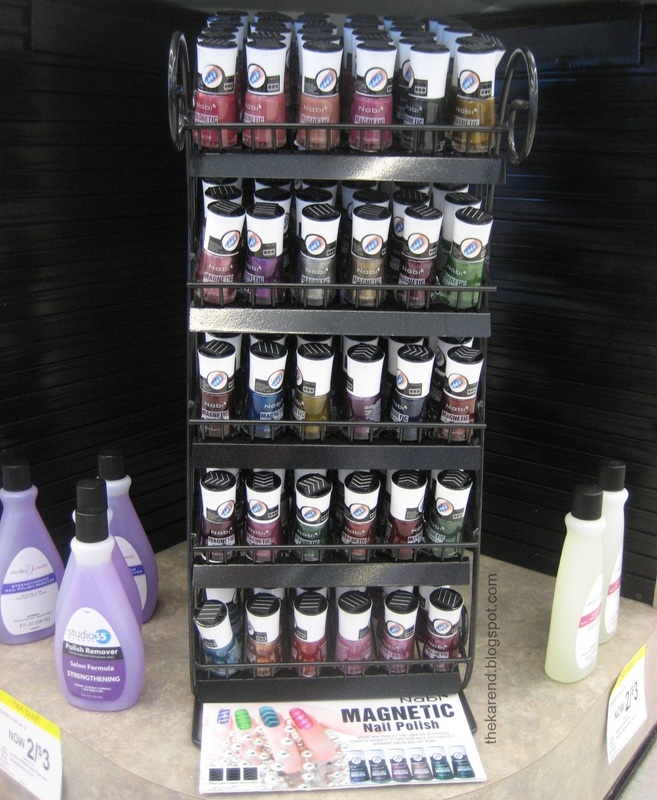 At a different Walgreens, they'd added their own instructions to the Nabi Magnetic display: polish must be wet to work, remove black part of cap this is the magnet, hold approximately 1/4 inch above wet nail, hold between 10 and 15 seconds. I have yet to figure out how to remove the magnet from the cap, probably because I wasn't willing to use my nails to pry at it. If the magnet does come off, that would be more convenient to use (though also more covenient to lose). 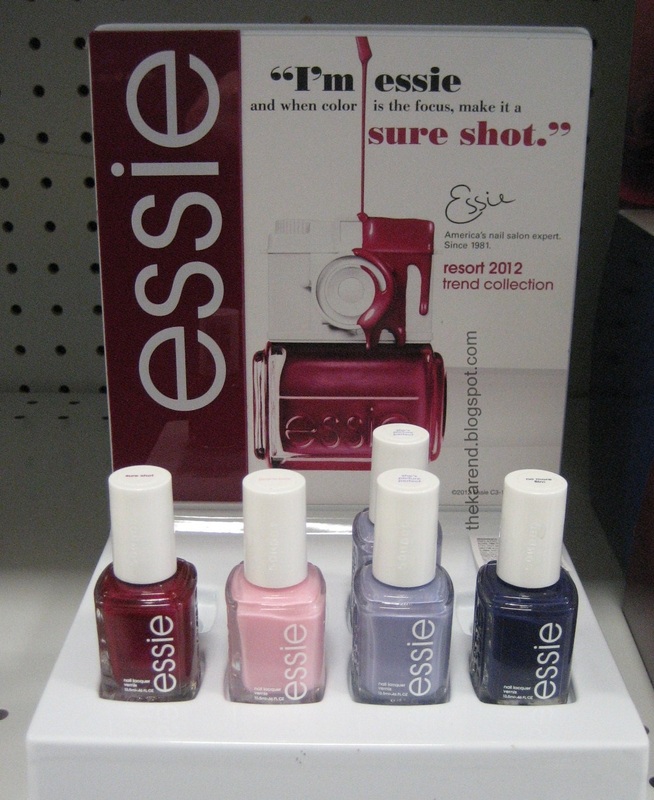 Essie Resort 2012 is popping up various places. 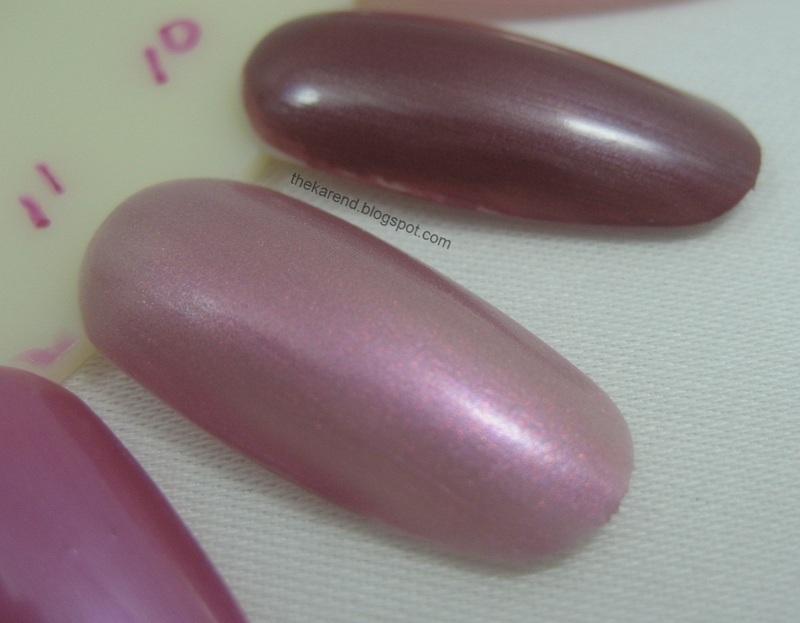 Four colors: Sure Shot (dark pink shimmer), Pink-a-Boo (pink shimmer), She's Picture Perfect (periwinkle shimmer), and No More Film (dark blue violet creme). 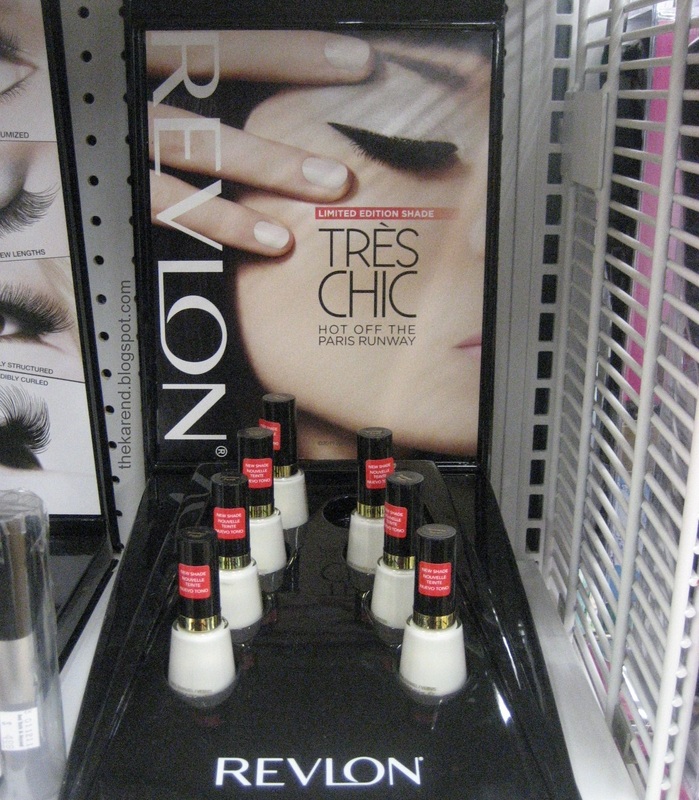 At Bed Bath & Beyond and later Walgreens, I saw a single-color Revlon display with a shimmer called Runway Pearl. This display looks like previous ones when they've done Chanel dupes, but I'm not sure which Chanel this is supposed to be a copy of, if any. I can't think of anything recent from Chanel that looks like this. 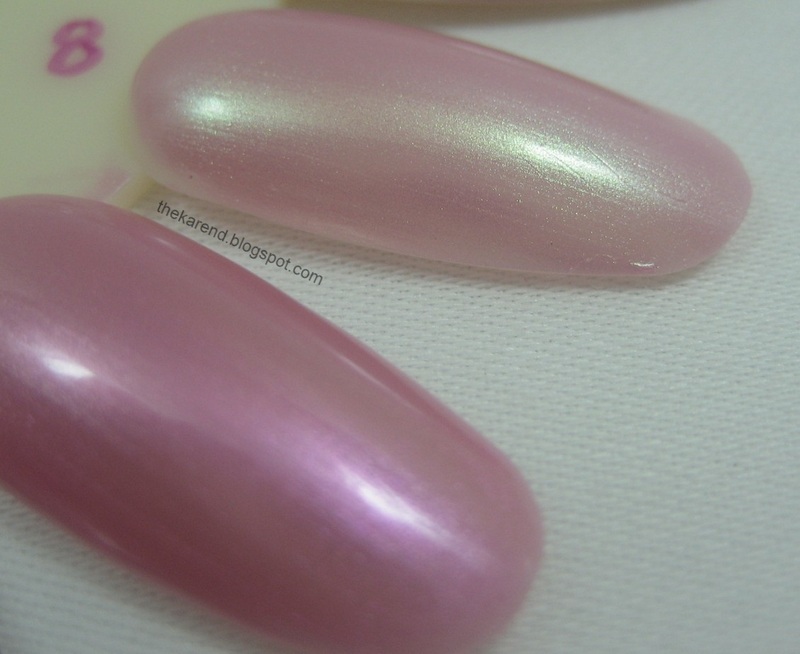 Maybe they were going for last year's Pearl Drop, but the Revlon looks more pink than that, at least in the bottle. 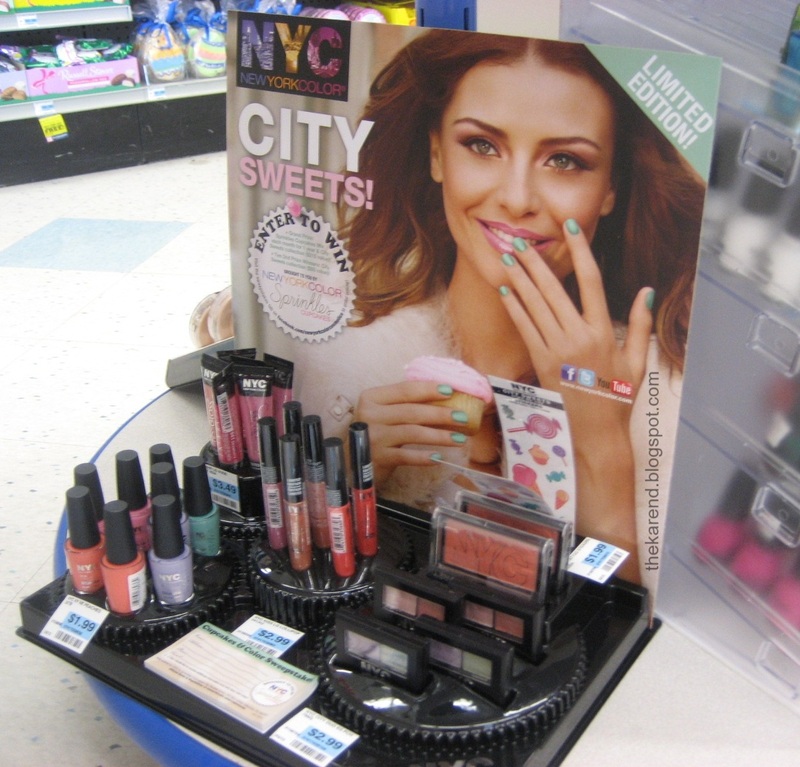 NYC New York Color spring cosmetics display, City Sweets, has four colors of polish in it: Peaches 'n' Cream, Lavender Cupcake, Mint Macaroon, and City Sweets Pink. I've only seen this at Rite Aid so far. 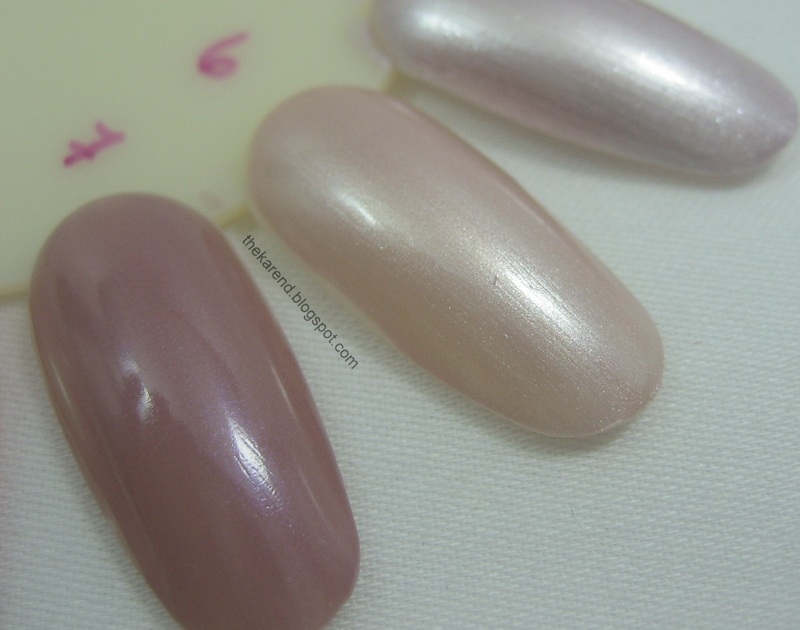 Sinful's Color Block display is all re-promotes as far as I can tell: Happy Ending, Ruby Ruby, Big Daddy, Let's Talk, Let's Meet, and Why Not. 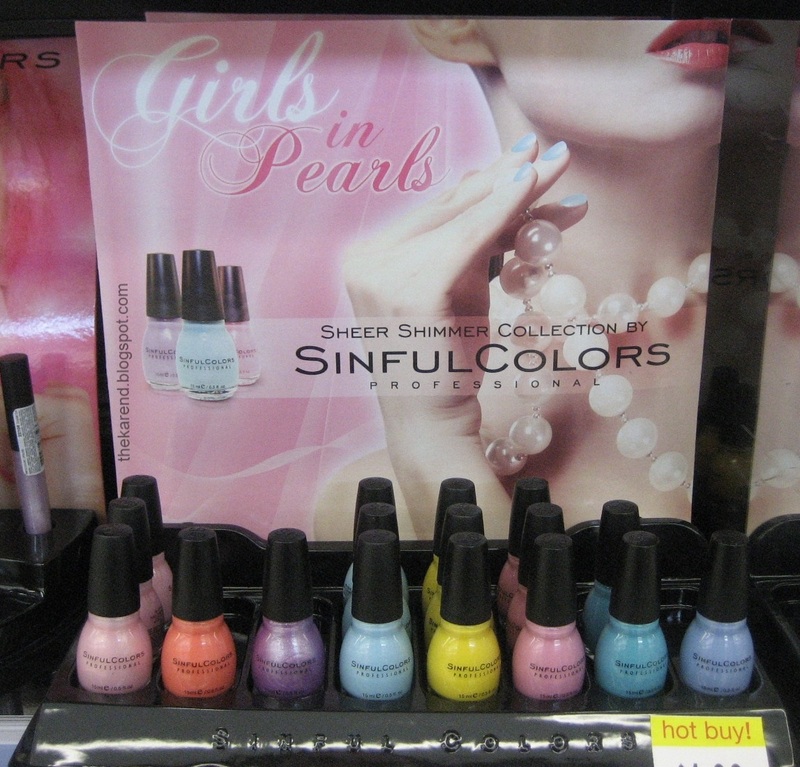 However, the other Sinful display I saw, Girls in Pearls, had mostly new colors. Left to right: Glass Pink (old), Luminary (new), Purple Diamond (old), Cinderella (newish, but already in the core display at lots of stores), Firefly (new), Flutter (new), Sweet Dreams (new), and Morning Star (new). 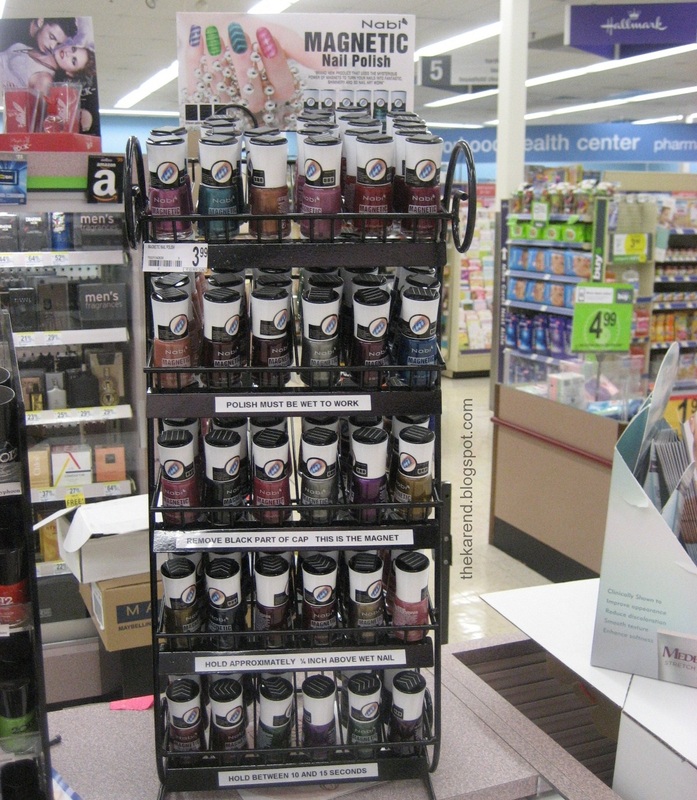 I've only seen this at Walgreens, which is usually the first place to get Sinful displays in this area; sometimes they pop up at Rite Aid and Meijer later. 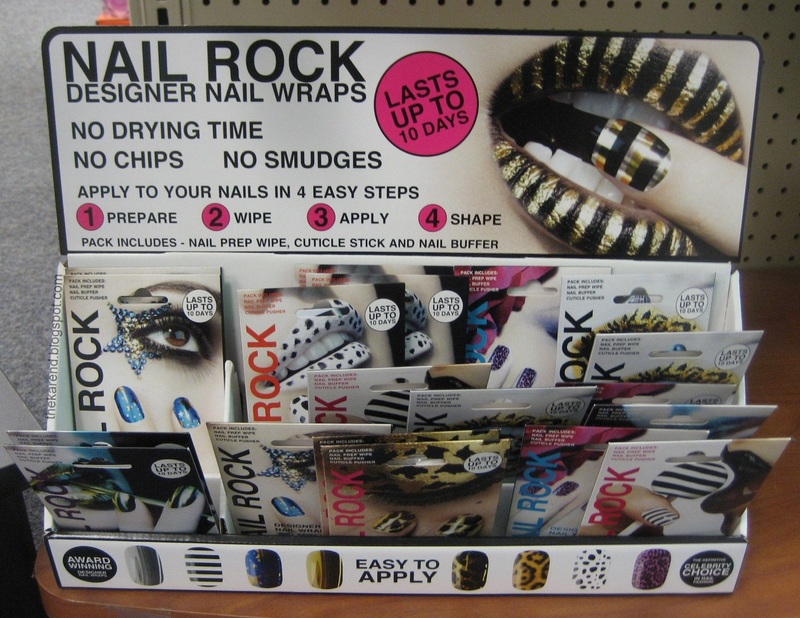 At CVS, I spotted Nail Rock Designer Nail Wraps, which were priced at $6.99 per set. The packaging on these features flashy coordinated eye and lip looks that are so conspicuous that I wasn't sure what was being sold at first. 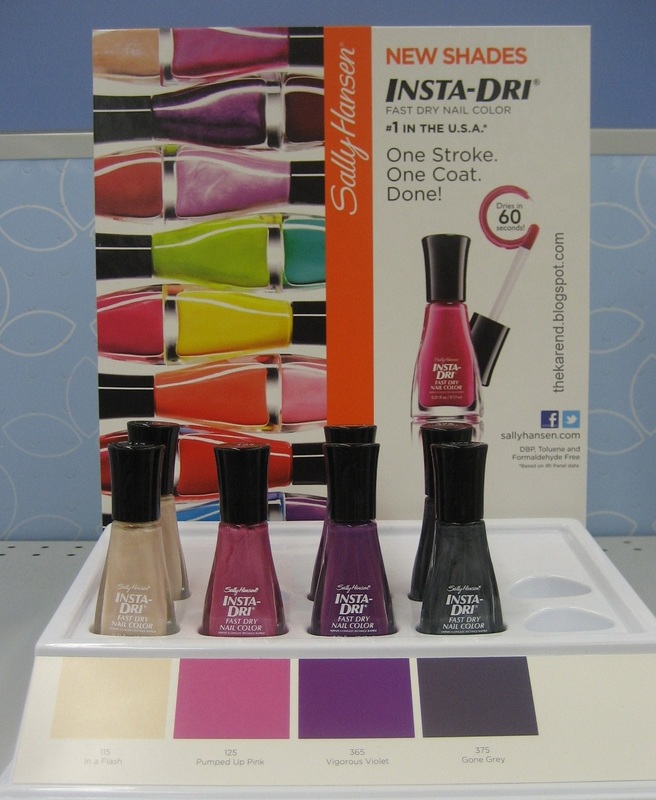 I've seen a four-color display of new Sally Hansen Insta Dri shades at a couple of different places. I first saw these at Walgreens ages ago, in a larger end cap display, and they're in some core displays now, too. 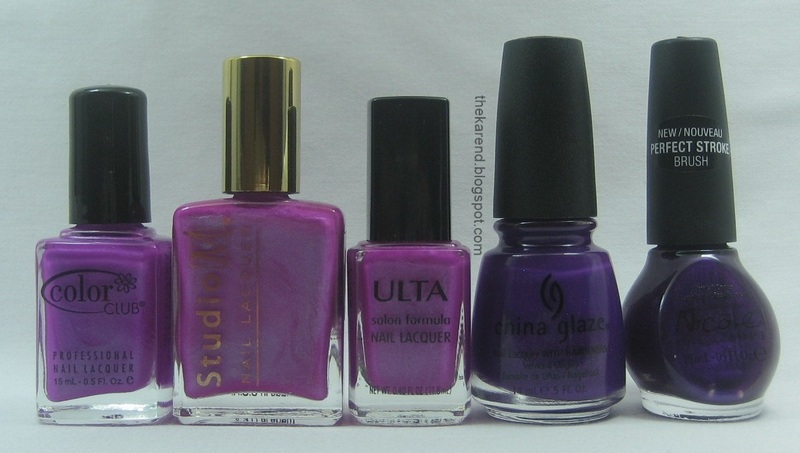 Left to right: In a Flash, Pumped Up Pink, Vigorous Violet, Gone Grey. 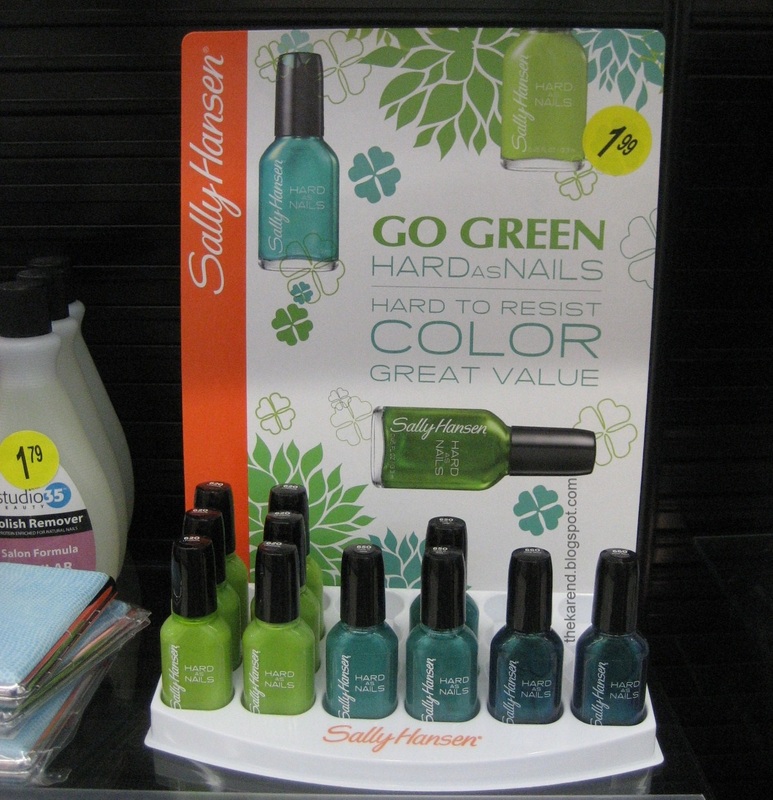 I didn't see this Sally Hansen Hard as Nails Go Green display until after St. Patrick's Day. It's got three core colors in it: Limestone, Made in Jade, and Punk Rock. 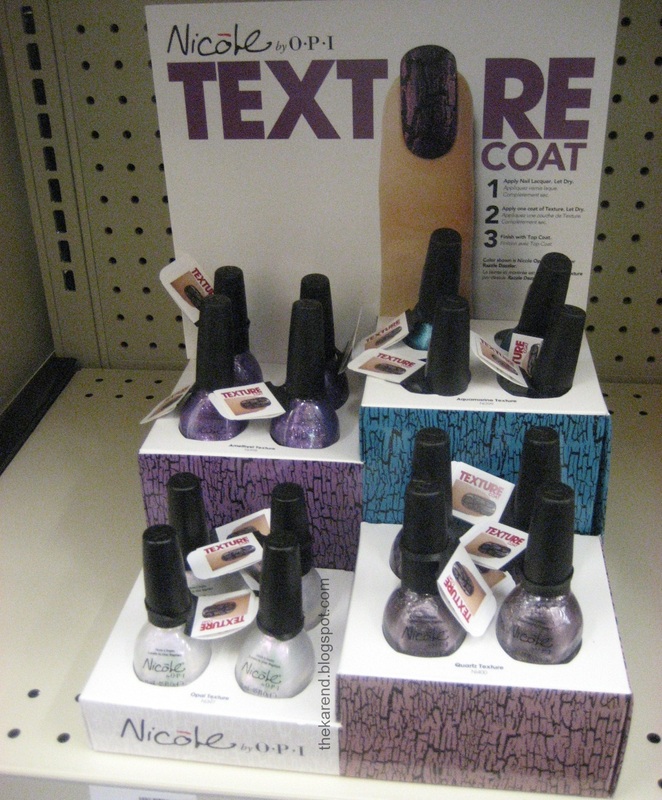 Another Sally Hansen display made me much more excited: limited edition Diamond Strength colors, including four glitters, each paired with a coordinated base coat color. Left to right: Something Borrowed, Ring-a-Ding, Infinity Band, Multi-Faceted, Garter Toss, Let's Dance, Duchesse Lace, White Veil. 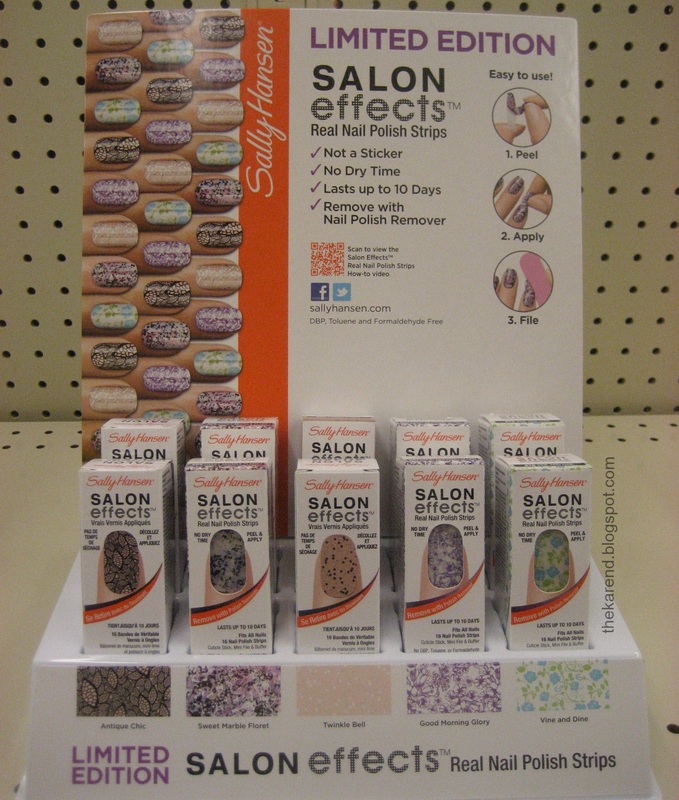 I also spotted new spring limited edition Sally Hansen Salon Effects designs. Five of these: Antique Chic (black leaves on peach), Sweet Marble Floret (pink/lilac/white/black spatter), Twinkle Bell (silver and white glitter on peach), Good Morning Glory (purple floral on white), and Vine and Dine (blue/green floral on white). 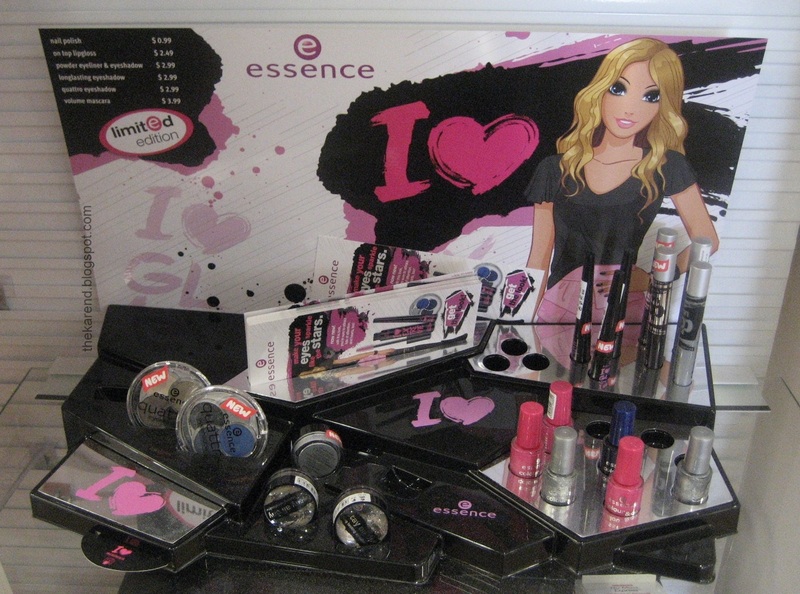 After a long drought, I saw something new from Essence at Ulta (well, new to Ulta; I think Europe got this last fall). It's the I Love display (or I Heart, as I read it). 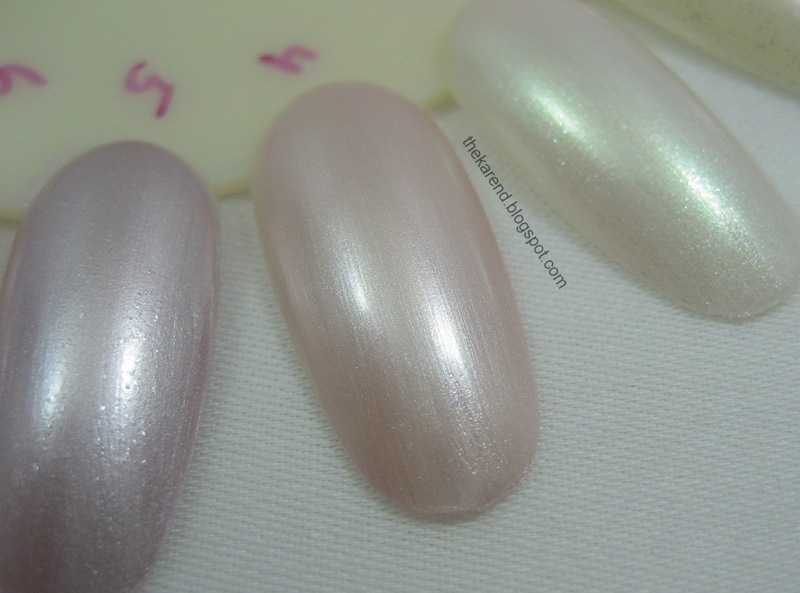 When I saw it there were three Colour & Go polish colors left: Icy Princess (silver), Ultimate Pink (warm pink), and Hard to Resist (blue). I believe the missing fourth color is Luxury Secret (charcoal). 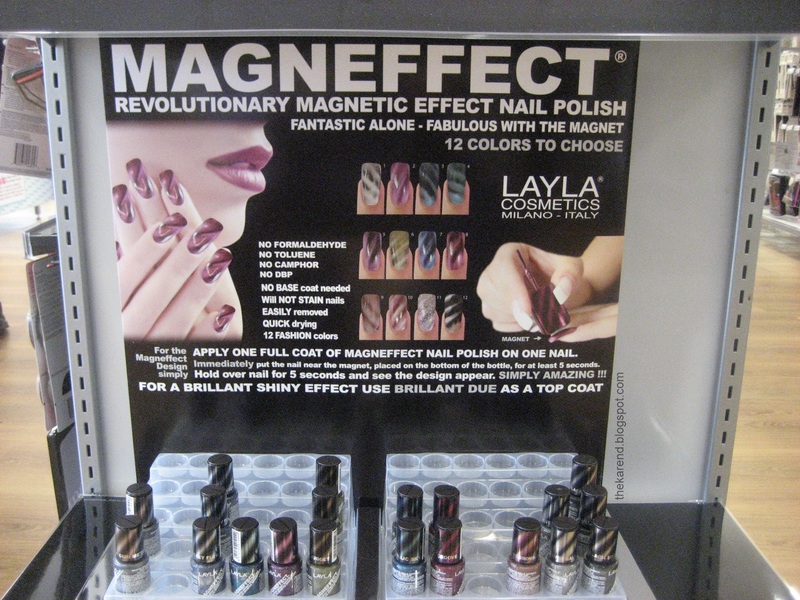 Also at this Ulta, there was a Layla Magneffect display that was just as picked over as the first one I saw at the other store, but this one had more information printed on the display backing. I still haven't gotten any of these since there are so many other cheaper alternatives out now. 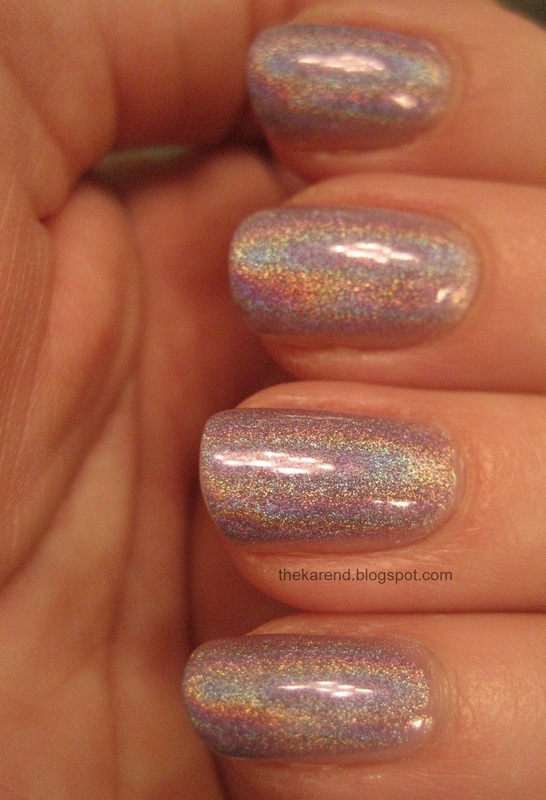 But as good as their holos are, maybe I should try one. 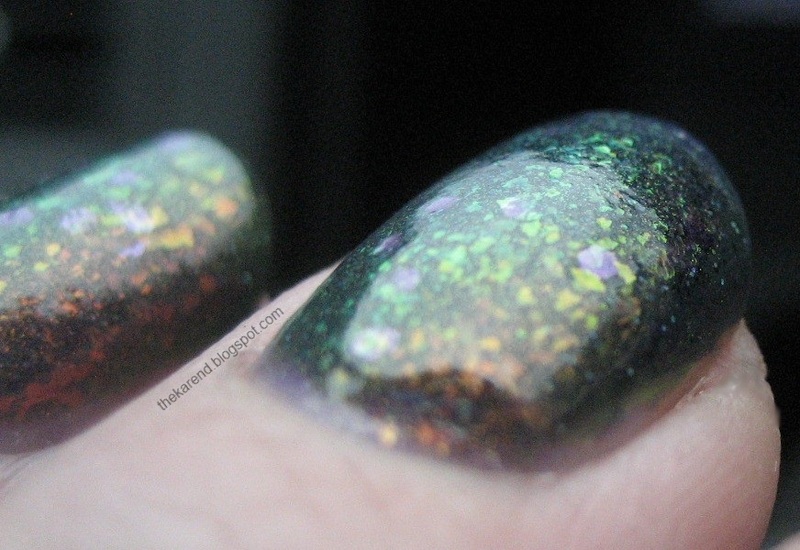 I haven't seen China Glaze Prismatic in a store yet, though went ahead and ordered them online even though they're pretty much dupes of the Wet 'n' Wild Be Jeweled (or vice versa). I can't think of anything else I'm waiting to spot right now, but I'm sure some things I don't know about will pop up and tempt me soon. 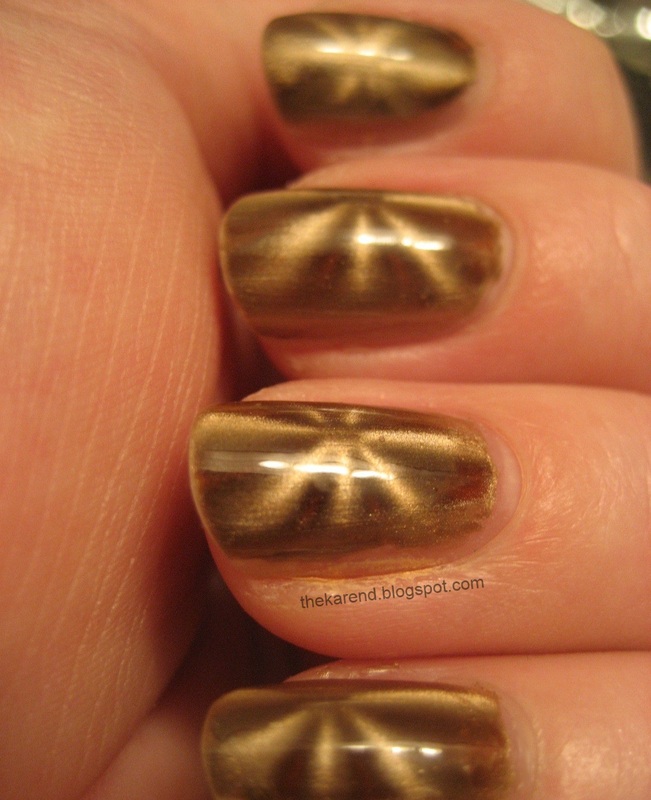 For Friday, I changed into China Glaze You Move Me from their new Magnetix line. 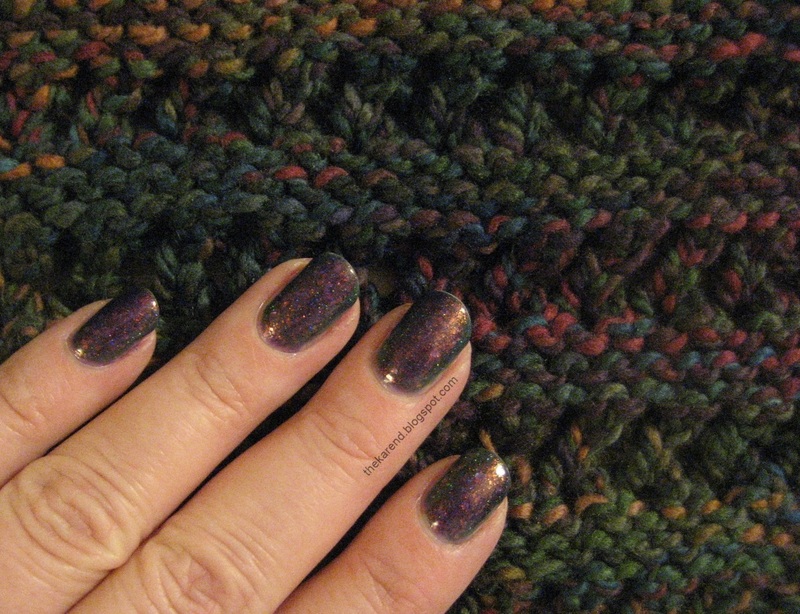 This was great for a quick change, as I only needed one coat of color. I painted one nail at a time and then held the star part of the three-design magnet over the wet polish for about 10 seconds. 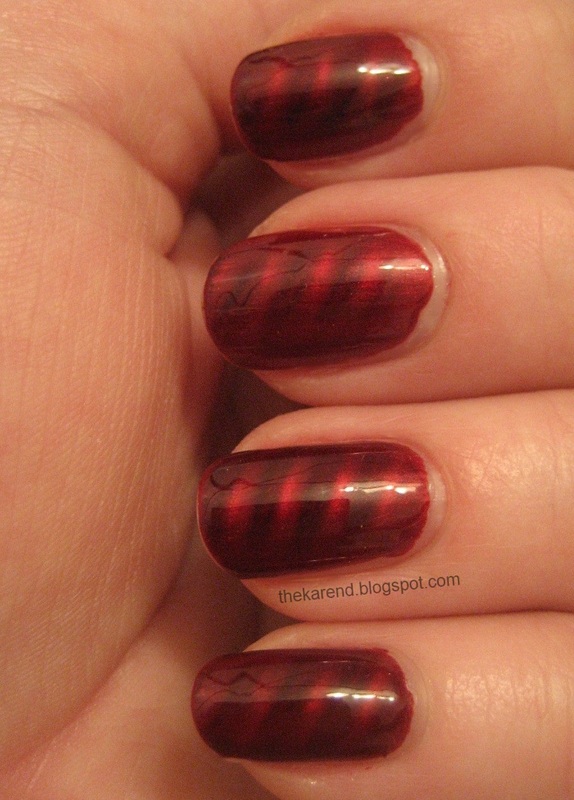 I didn't do that great a job of centering the design on every nail, but I'm okay with that—variation adds interest. After I put this on, I discovered I'd forgotten my clean up brush, so had to make do with a cotton swab, which is a poor substitute. As soon as I could, I made a quick run to JoAnn Fabrics to get a new brush (two, actually, since they didn't have an exact replacement for the one I've been using and I wasn't sure which of the ones they did have would work the best). Since magnetics are so hot right now, I used another one for Saturday. This is Nabi Magnetic in Wine. 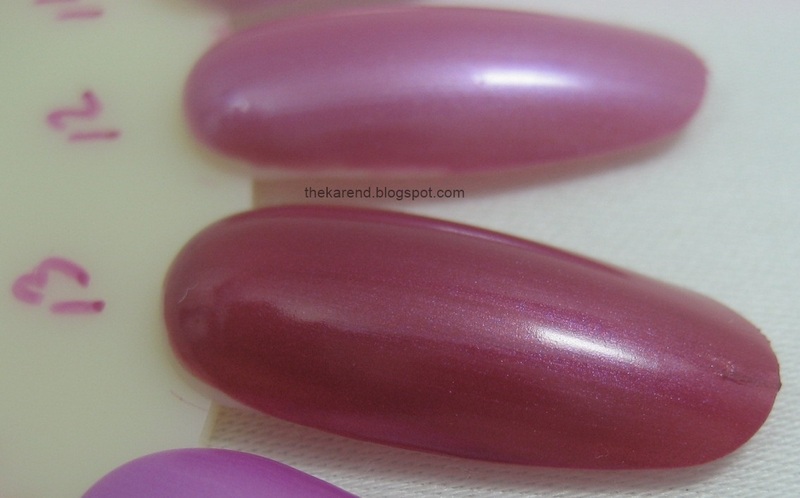 Unlike the separate magnet that China Glaze has, Nabi's magnet is glued to the top of the cap, which is a bit awkward to use. 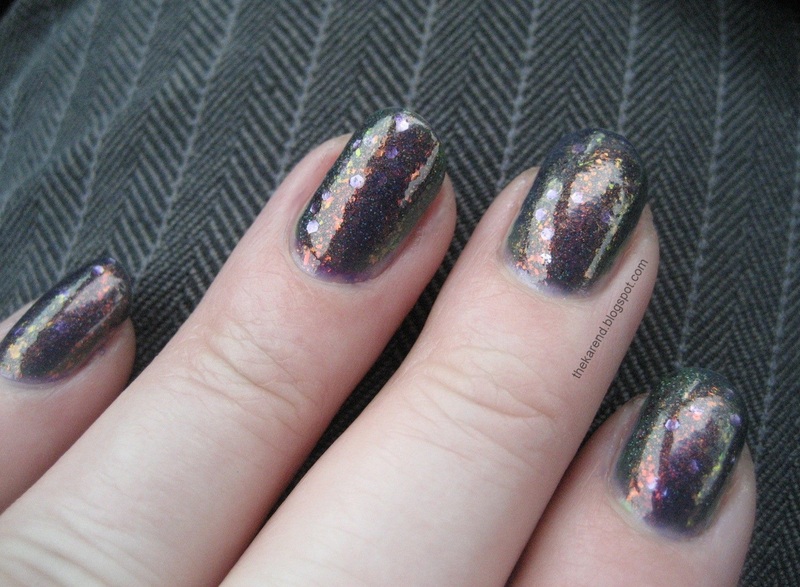 It also doesn't have a lip on one side of it to aid positioning like the China Glaze one does, so it's a bit harder to get it close to the nail without touching the wet polish. 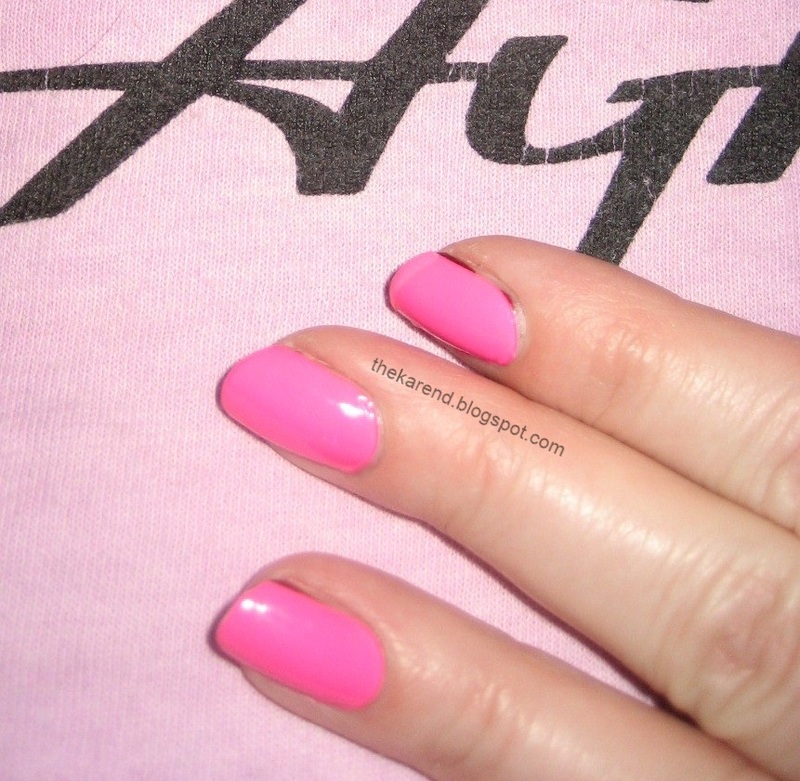 It was like the China Glaze in that I used one coat of color for this one, too. Saturday night there was an 80s theme party, so after dinner I put on Sally Hansen Salon Effects strips in Wishful Pinking (which I believe has been discontinued along with the rest of the neon colored strips, though some stores still have stock left). Because I was short on time (I also had to make my hair big) I just put them on right over the Nabi Wine, which I'm sure dimmed their brightness somewhat (and looked a bit sloppy around the edges). Since I was only going to have them on for one night, I could live with those issues. 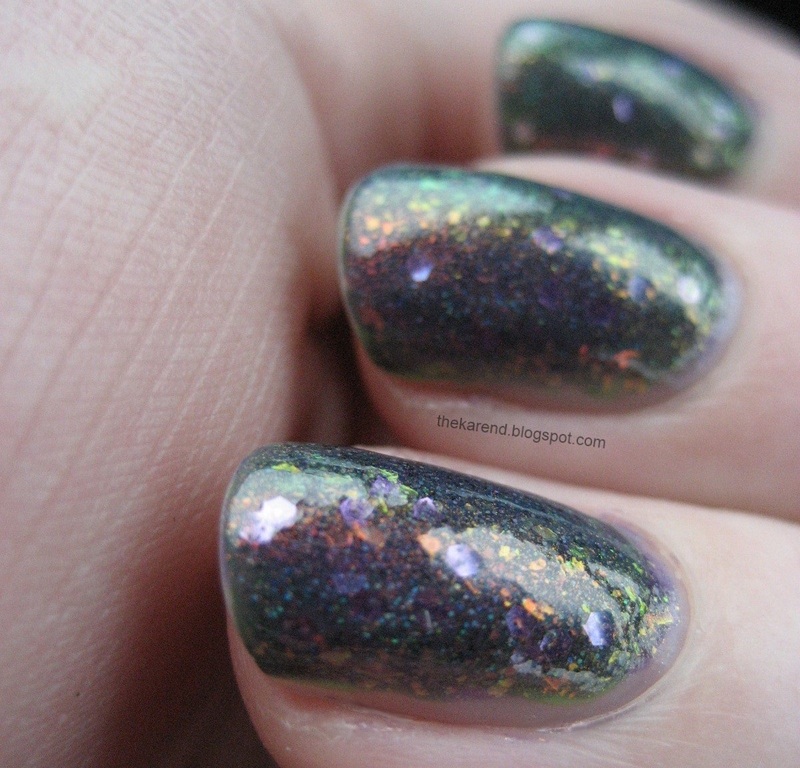 I've sworn off backups but might have to make an exception for these, since good holos are hard to come by. 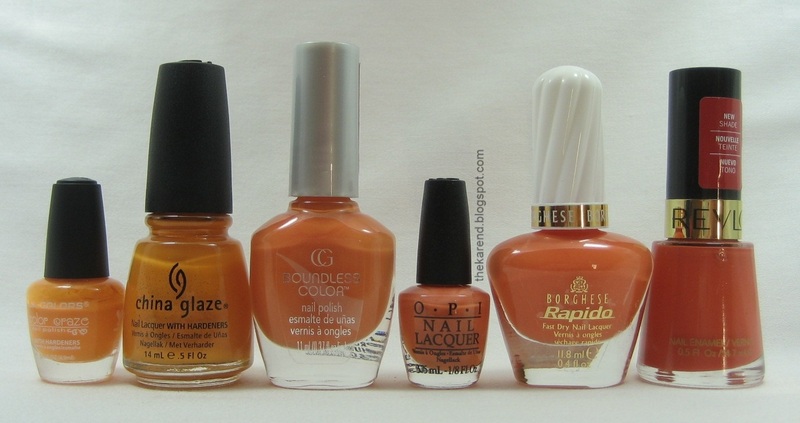 They're pricey (I paid $15.50 a bottle, and they're 10ml) but well worth it. The deeper I get into my wheel swatching project, the less coordinated I'm able to make them. For this Nail Wheel Wednesday, I've got warm purple shimmers, ranging from almost white to dusty plum, a few nearly pink purples, some neons, and a couple of cooler-toned violets. Hi, I'm back. Did you miss me? Since I last posted, I drove to Wisconsin and back, ate so much cheese and sugar I'm surprised I still fit into my car, much less my pants, and changed my nail polish four times in four days. It'll take me a bit to get all those photos edited, so today I just have the look I left town in. 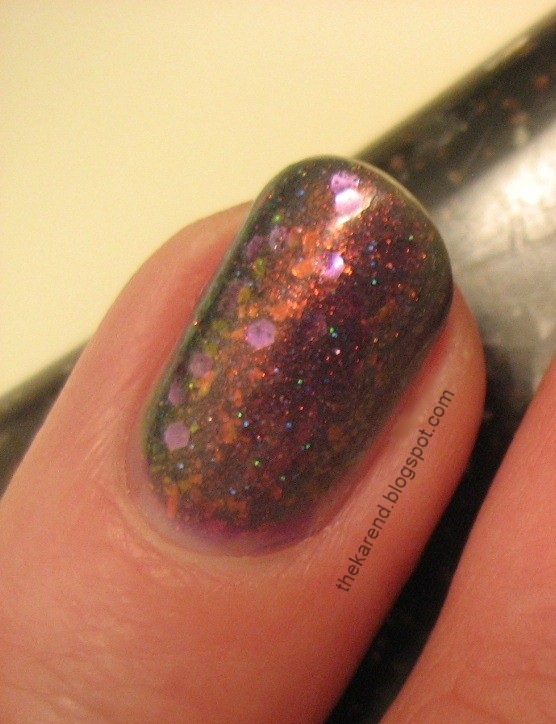 The jelly base of 51 didn't completely cover the glitter from Magically Delicious; the chunky gold bits took on a purple hue, the little green bits got more blue, and the little holo bits shone through when the sun hit. 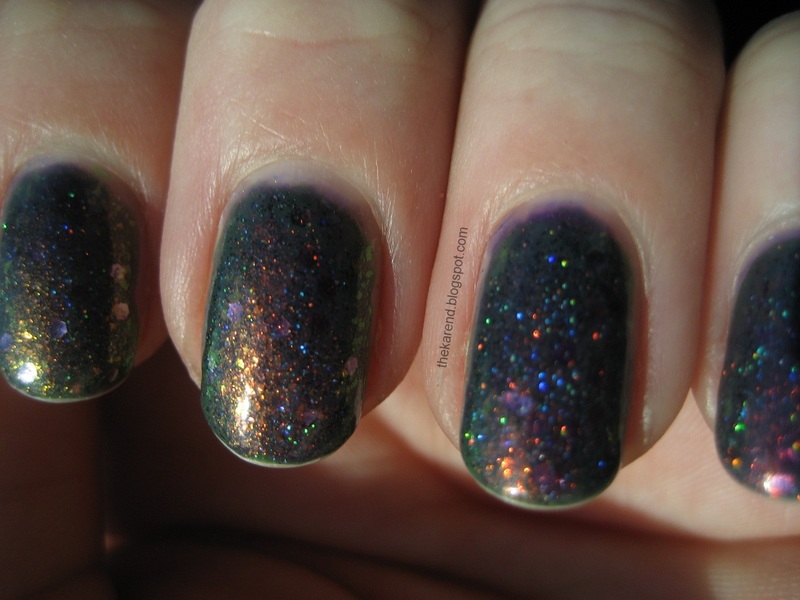 Add the shifting colors from 51's flakies and shimmer and I found this quite fascinating to look it, thus the photo dump I'm about to unleash here. This combination coordinated quite nicely with the scarf I'm knitting (the yarn is Mountain Colors River Twist in Pine Creek colorway for those of you interested in such things). 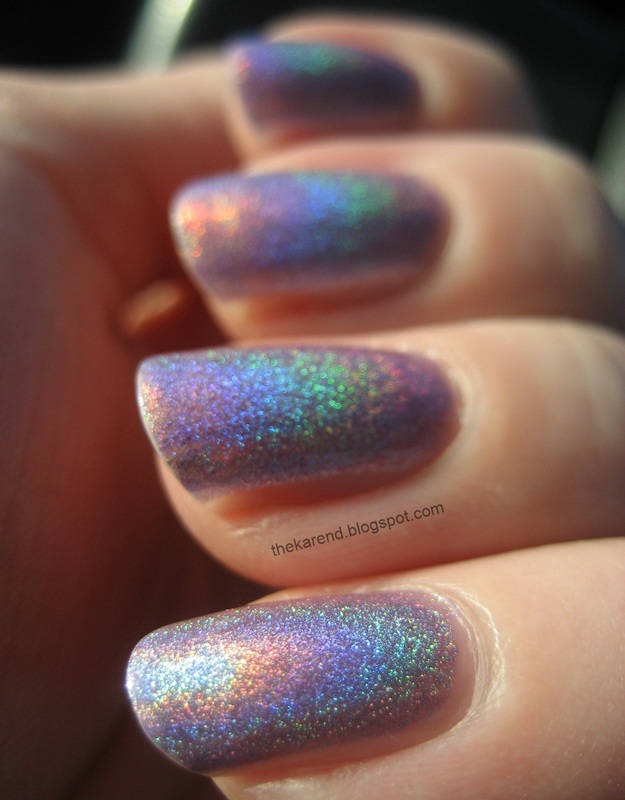 Did I mention the holo from Magically Delicious pops in the sun? I think I did. Yeah, I got some tipwear, but there was so much else to look at that I barely noticed. Taking this off was a job for the foil method. Too bad I hadn't packed any foil for my trip; I'll have to add that to my packing list for next time. Even though it's barely springtime on the calendar, it's hot enough here today to be summer, so I decided on hot colors for Nail Wheel Wednesday. I'm having some time management issues this week (more so than usual, I mean) so it's quite possible I won't post again until next week. It's hard to know. In any case, don't fret if I seem to disappear; it'll only be temporary. 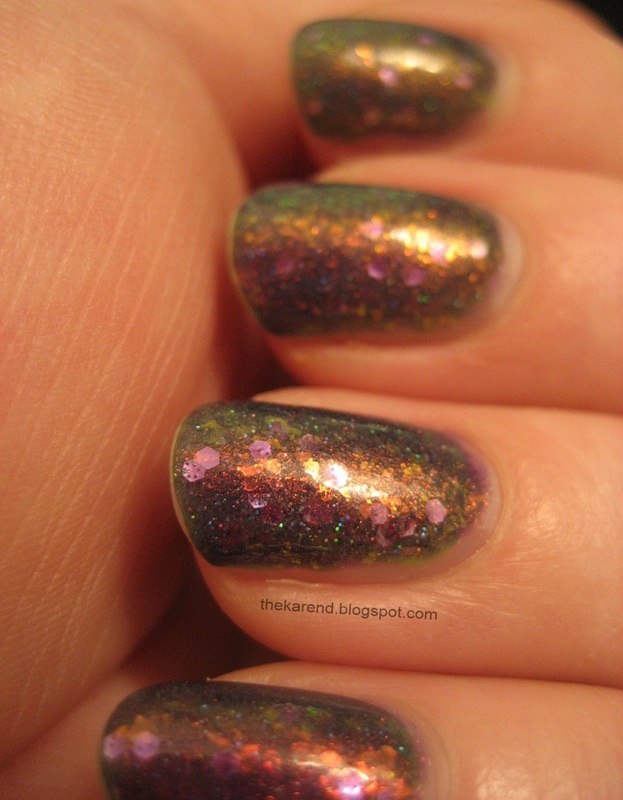 Recent NOTD: Sally Hansen Are You Single?